1. Your banner must be 468x60. 2. We will post your banner and a link to your site free as long as it meets with our 100% family oriented terms. Just send the URL page link to your site along with your 468x60 banner image to have it listed here free! You will need to add our FULL SIZE BANNER from below to the page that our banner is on and link it back to our site here at http://www.autismawarenessonline.com BEFORE you email your link. Once our banner and link has been verified on your page, your banner will be added to our free banner exchange here on our site. If you have a suggestions for our Free Banner Exchange that may be beneficial for our site, please send them to webmaster@autismawarenessonline.com. 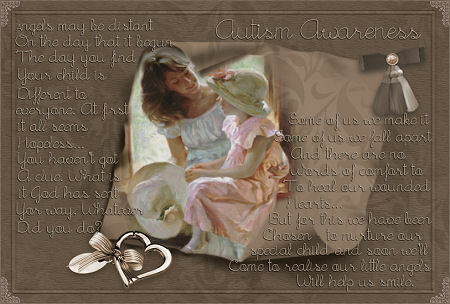 For information on how to join our free banner exchange please send an email to webmaster@autismawarenessonline.com.